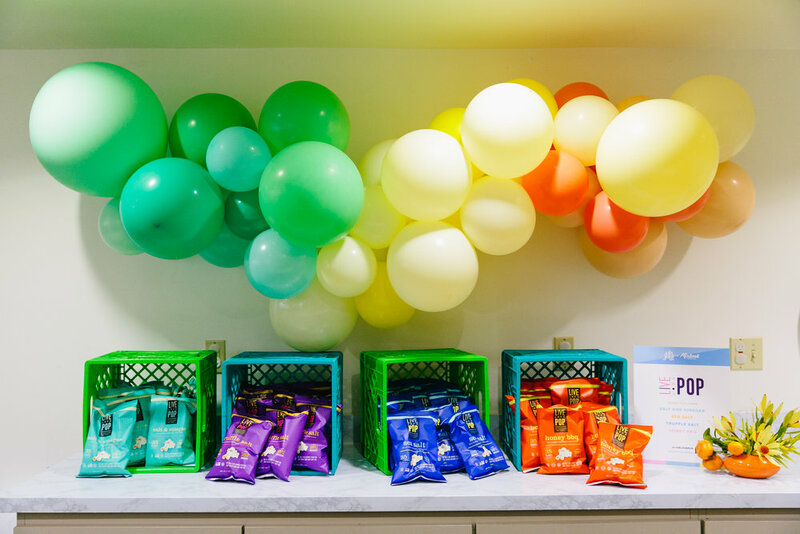 On March 23rd, 2019 we celebrated the launch of our Oh Joy! for Mixbook collection with Joy Cho herself, Shriners Hospitals for Children, and hundreds of our Southern California friends. 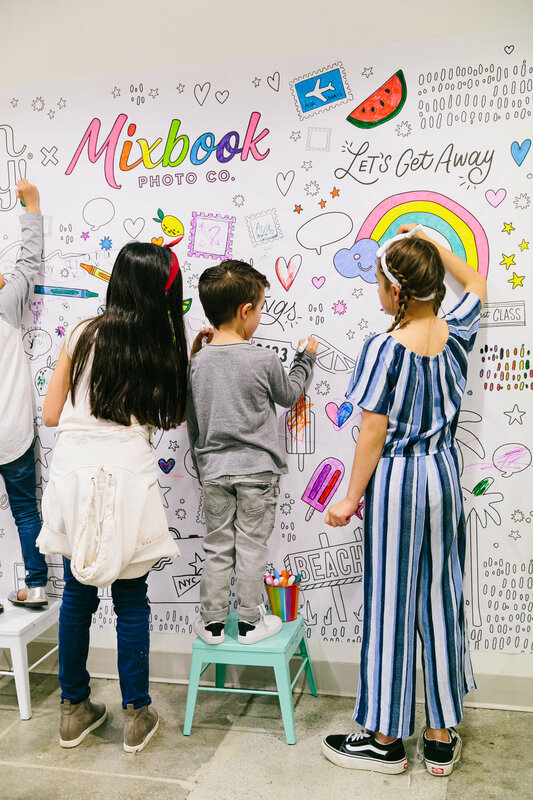 We were so excited to bring together an in-real-life version of our collaboration with a colorful, IG-worthy party filled with photo-ops, delicious bites and bevvies, DIY crafts and balloons for days! 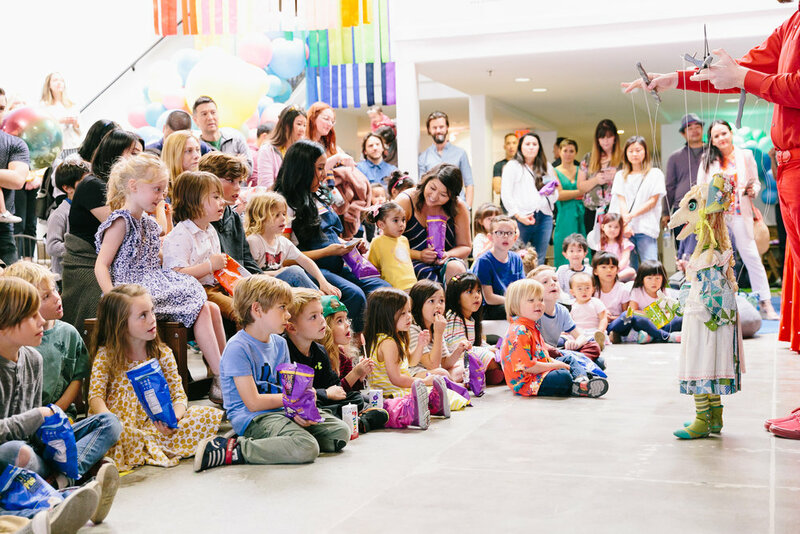 Here’s all the fun we had at our Oh Joy! for Mixbook launch party! Inspired by a sticker from the photo book theme Ombre Summer by Oh Joy!, our “Best Day Ever” balloon installation was floor-to-ceiling awesomeness! We loved watching Bonjour Fete and But First Party bring this to life. I’m in love with this installation from the @mixbook party! When you order one of our Oh Joy! for Mixbook products, we donate 7% to our dear friends at Shriners Hospitals. 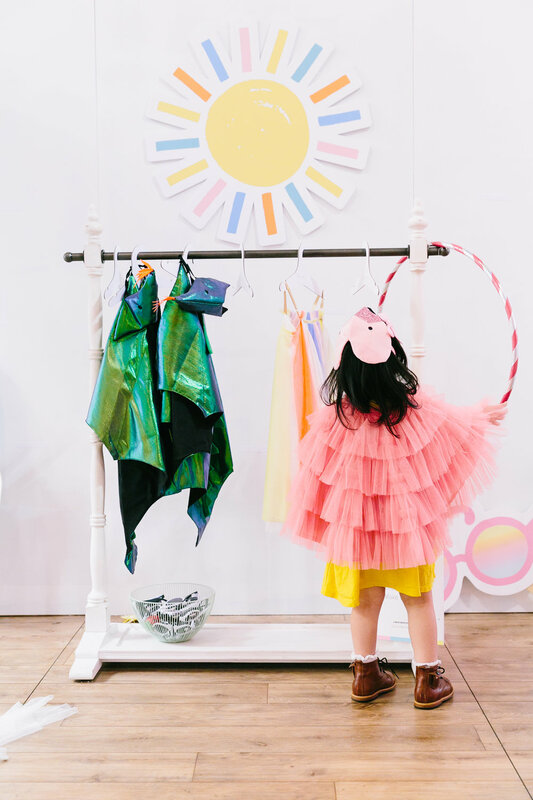 Bringing this partnership in-person to our event was very important for Oh Joy! and Mixbook. We encouraged attendees to bring art supplies to donate to Shriners. We collected over $2,000 in art supplies! It wouldn’t be a party without amazing food and drinks! 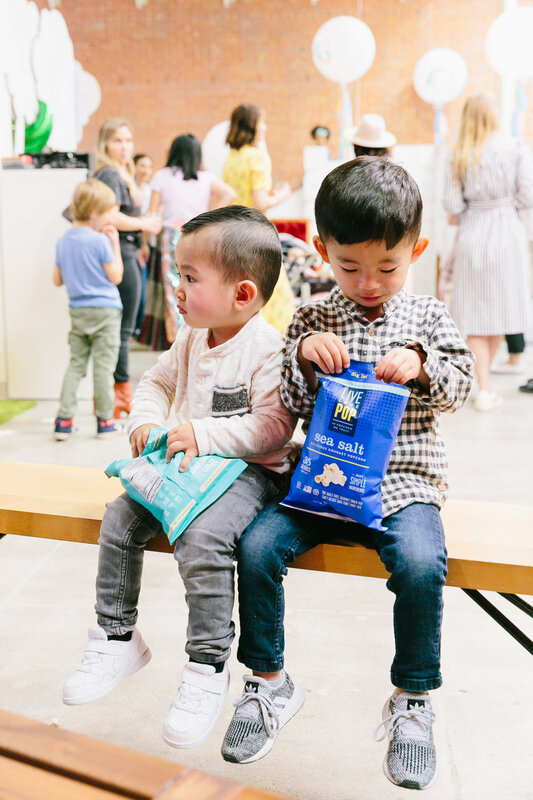 We were excited to have Tiny Giants, Live Love Pop, Hint, Day Owl Rosé, AmazeBowls, and Josephine LA bring their sweet and savory tastes to the celebration. Guests were able to build their own acaî bowls with a variety of delicious toppings. Our favorite was the kale-matcha! The kids loved creating their own healthy fruit bowls. Plant-based, USDA Organic, Vegan, Non GMO, Gluten Free—and so so tasty! These Tiny Giants yogurts kept us fueled without feeling guilty about indulging in something sweet. Everyone loves popcorn right!? We can’t believe we went through all 200 bags of Live Love Pop’s delicious flavored gourmet popcorn. Everywhere you looked, kids and adults were snacking by the fistful! One of the most gorgeous show-stopping food displays we’ve seen! Our team displayed all of Josephine LA’s scrumptious brownies, tarts, and meringues in a stellar rainbow! Josephine LA is a non-profit bakery, straight-up serving magic in every bite. 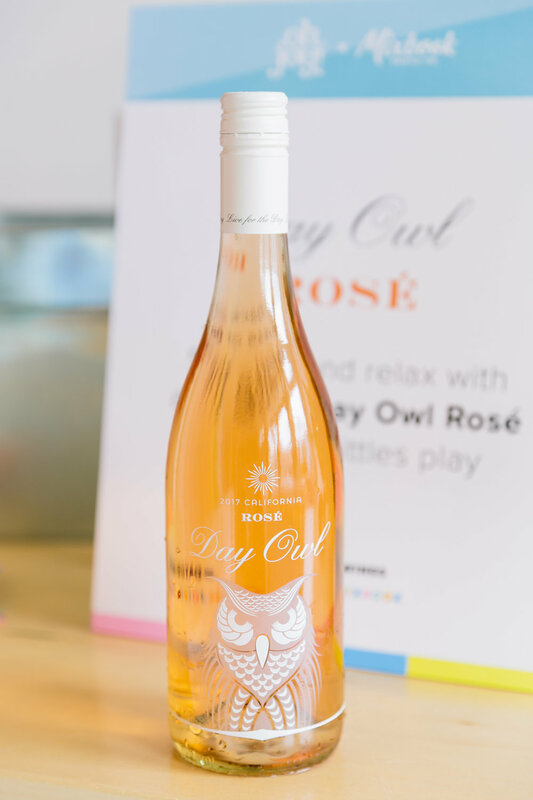 It was a beautiful day in Pasadena, complimented perfectly with chilled Day Owl Rosé for the adults and flavored Hint water for all. We loved sipping on crisp rosé as the littles played. After all, the adults need a little break too! Our Bay Area neighbors, Hint came along to keep everyone hydrated with their zero-calorie, all natural flavored water. Encouraging children to color on the walls? Yup. That’s Mixbook! 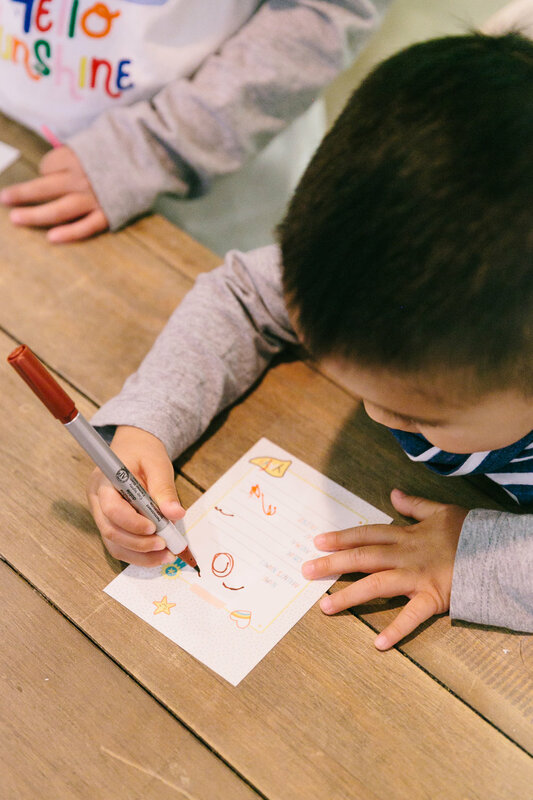 We created a coloring wall full of illustrations from the Oh Joy! for Mixbook collection. We were so excited to have the Bob Baker Marionette crew entertain the attendees with their life-like puppetry. Kids and adults were so amused and amazed by how well the Bob Baker team can entertain using their marionette skills. Just look at the size of the crowd! Party pros Meri Meri provided our littles with their beautiful costumes to play dress-up with. Dragons, princesses, and flamingos galore. The kids looked so cute in these outfits! What an incredible afternoon we had with everyone celebrating Oh Joy! for Mixbook! Bringing these themes to life was so exciting and fun—glad all our guests had a blast. We’d like to thank all our partners mentioned above and a special thank you to Joy Cho, Shriners Hospitals, Rachel Huntington and Royale Ziegler of Bonjour Fete and But First Party for making this collaboration one for the “books” 😉. Experience the Oh Joy! for Mixbook collection now available on Mixbook.com and keep celebrating with us!